Few dresses can compare to the shapely elegance of mermaid style wedding dresses. These dresses walk the fine line between fitted and flowing with their delicately contoured top and dramatic flare at the bottom. If you’re looking for a gorgeous dress that will flatter your figure, look no further than these beautiful mermaid designs. Our selection of Morilee Bridal, Essence of Australia, and Allure bridal dresses offer a variety of memorable designs that are sure to impress on your wedding day. 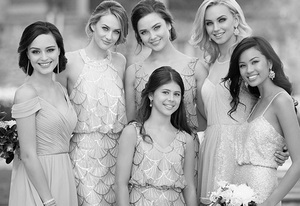 Dimitra Designs knows how important it is to look your best on your wedding day. 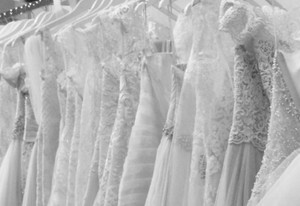 As one of the premiere bridal shops in South Carolina, we strive to help our customers celebrate the wedding they’ve always dreamed of. Let us help you find the perfect fashion for your special day. Not sure about one of our gowns? Give us a call at 864-467-0801; we would be glad to answer any questions you might have. It’s just that easy!